Turyaa Kalutara situated just 37 Km from the bustling capital of Sri Lanka offers the ideal vacation spot with its close proximity to this cosmopolitan city and the breathtaking Kalutara beach. Hotels such as ours provide the perfect getaway for adventure and relaxation. Kalutara is the gateway town to the many adventures to be had along the southern coast of Sri Lanka. Owing its name to ‘Kalu Ganga’ or the Black river that flows through the town from on top of Adam’s peak to the sea in Kalutara, the town is also home to Calido beach – the thin strip of land that intervenes before the river meets the sea. Amidst the bamboo weavers and coir craftsmen selling their baskets and other colourful wares just as you enter the town, the cultural significance of Kalutara cannot go unnoticed. Kalutara was once a pivotal spice-trading town, held under the control of the Dutch, Portuguese and British at different historic periods. Today it is the first stop for anyone planning to discover the best of Sri Lanka during their beach holiday, spa break or family adventure. Kalutara is home to some of the top things to do in Sri Lanka and is just waiting for you to visit. 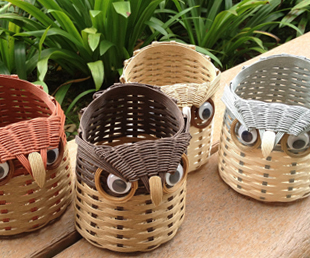 Located right in the middle of the Kalutara City, the centre is home to many colourful, handmade purses, hats, coasters, baskets, and even lampshades. The Centre exhibits local talent in rush and reed ware weaving, and enables visitors to witness the hand-manufacturing of these products. The plying of unyielding leaves of the Wetakeiya palm to create household and personal items is a treat to watch, and makes for a unique Kalutara attraction. A little inland from Palaotota, is Richmond Castle, a fine country house in a 42-acre fruit garden estate. 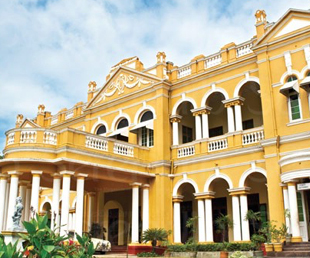 Built in 1896, the Castle originally belonged to landowner turned philanthropist NDA Silva Wijayasinghe, the local Padikara Mudaliyar (village leader). During the time of the British, the Castle was a circuit bungalow for officials. The building is a magnificent spectacle of Indian and British hybrid architecture and stands copying ground-plan of an Indian Maharaja’s palace designed by a London architect. Most significant in its interior are the audience hall, with intricately carved pillars and beams and a spiral staircase leading to a gallery of some fascinating photographs from the time. The Castle and its grounds are open to the public and makes for a good canoeing or bike track, and a relaxed spot for a riverside picnic. Named after the well-known Chinese monk and explorer who visited the site as far back as 4th century AD, the Fa Hien Cave was first excavated in the late 1960’s by then Assistant Commissioner of the Department of Archaeology. At the time of excavation, the venue was a functioning Buddhist temple; it revealed valuable information on the prehistoric inhabitants of the cave and their lifestyles. Grindstones coloured with red ochre and faunal remnants were also found at the site. The most exciting discovery of course was the complete skeletal remains of a human which dates back to the latter Pleistocene era. 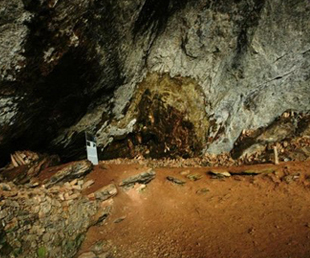 Carbonated evidence states that the cave was a site of human habitance more than 33,000 years ago, with the last inhabitants occupying the space in the Middle Holocene period. 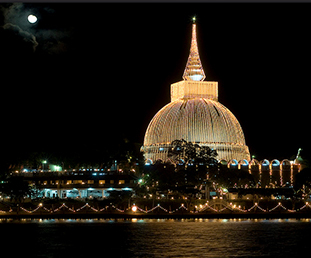 Gleaming white and magnificently looming over 'Kalu Ganga' the Gangatilaka Vihara, is fondly revered as the Kalutara Bodhiya. Built in the 1960s, it is famously known for its hollow interior, and is the only one of its kind in the world. Its echoing interior is painted with 74 breathtaking murals depicting scenes from the Buddhist Jataka Katha (stories), of the 550 previous births of Buddha. The remaining temple compound also houses a Bodhi tree that some believe to be one of the 32 saplings of the original Bodhi tree under which the Lord Buddha attained enlightenment. 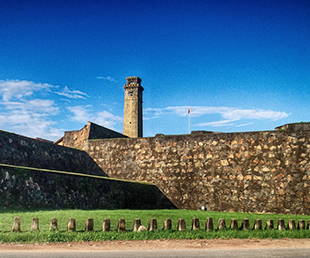 First built by the Portuguese in 1558, and then fortified by the Dutch during the 17th century, the Galle Fort is a historical, archaeological and architectural heritage monument, declared to be a cultural heritage by UNESCO World Heritage Site. It also has the distinction of being the best-preserved sea fort in South Asia. It resembles fortifications both in the coastal areas of Portugal, and European cities. Today, with its narrow cobble - stone streets, and quaint cafes serving up some of the best dishes in the area, the Fort sill exudes the welcome warmth of old world charm. The area is dotted with Colonial villas and buildings, of which the Dutch Reformed Church is especially noteworthy. © 2016 turyaahotels.com All rights reserved.